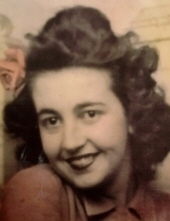 Tallmadge - Grace Schwaben, went to be with the Lord December 17, 2018, at the age of 91 surrounded by her loving family. She is the daughter of the late Martin & Ethel Pool-Knowlton. Born August 27, 1927 in Graysville, Ohio, she resided in Tallmadge, Ohio since 1945. Grace was a loving, devoted wife, mother, grandmother and great-grandmother. Grace was very dedicated to her faith, enjoyed gardening, cooking, baking and spending time with her family and friends. She worked as a realtor for Kremer Realty for many years. She was preceded in death by her husband Roy Schwaben of 56 years of marriage, three sons, Robert, Dave & Rodney Schwaben. Four brothers, Lawrence, Raymond, Evertt & George, One sister, Anna. She is survived by her daughter Sharon (Chuck) Kozy, 8 grandchildren, Christie, David, Lisa, Kim, Pam, Roy, Scott & John, 8 grandchildren, Logan, Charlie, Thomas, Jerry, James, Elizabeth, Sophia, Chase; and many other loving relatives and friends. We will look forward to seeing you again, health, happy and smiling. Funeral Service will be Saturday, 1:00 pm at H B Moore Funeral Home, 936 North Main Street, Akron, OH 44310 (corner of N. Main St. and Mildred Ave.). Visitation will be ONE HOUR PRIOR to service time at the Funeral Home. Grace's final resting place will be Tallmadge Cemetery. You are invited to hbm-fh.com to view Grace's tribute wall, offer condolences and share memories.